As I mentioned last Friday, my first rental arrived from ZipLens.com. ZipLens is an online lens rental service that opened last month. The service, like competitor Rentglass.com, rents lenses for periods of one, two, or three weeks at a time for the fraction of the cost of traditional rental services. Shipping both ways is prepaid and all of the return packing material is provided so returning a lens is as simple as packing it and dropping it off at your local post office (or even just giving it to your mail carrier). Overall, the service is almost identical to Rentglass.com with a few notable differences so I’ll concentrate on those. You can read the Rentglass.com review to get more details. But basically, the service works exactly like they say it does on their website. They shipped when they said they would, the package arrived on time, and it contains everything necessary for a painless return. The lens arrived in good shape and works perfectly. What more could you ask for? The package arrived in a sealed USPS envelope. 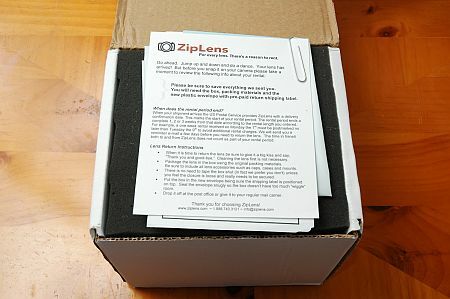 Inside of that was a box with the ZipLens logo on the top. 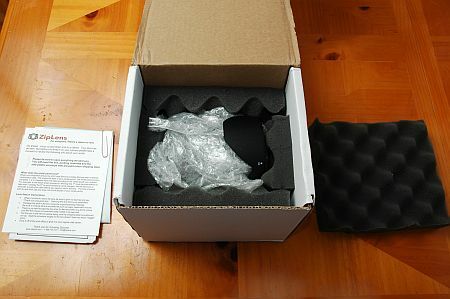 Upon opening the box, the first thing you’ll see are a concise set of instructions, a return shipping label, and a bag. 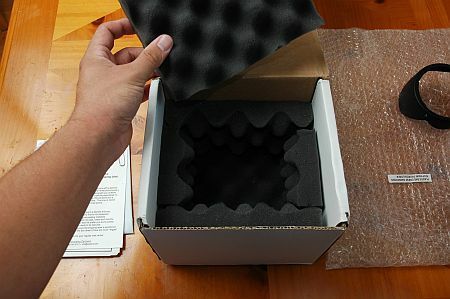 Save everything because you’ll need to repack the lens just as it arrived for return shipment. One of the notable differences between ZipLens and Rentglass was the packaging. This seems like a minor point but remember you’re on the hook for any damage to the lens. Damage during shipment is insured but the last thing I want to get involved in is an insurance investigation because I rented a lens. The ZipLens packaging was a definite step up from Rentglass. The lens was surrounded on all six sides by one inch thick foam padding and it was wrapped in bubble wrap. I’ll sleep soundly when I drop this off at the post office. 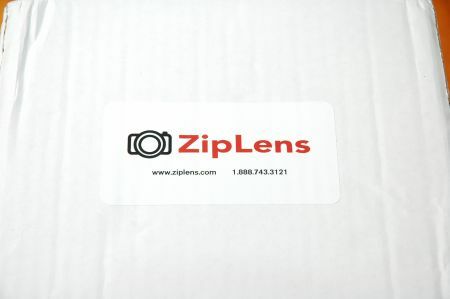 What I like best about ZipLens is the ability to reserve a lens that is out of stock. To reserve a lens, you simply order it just like you would an in-stock lens. You’ll receive an estimated shipping date when you order. When the lens is ready, they ship it out. This is a huge improvement over Rentglass.com’s out of stock email notification system which requires you to monitor your email and be the first to click when the notification arrives. What more is there to say? The prices are competitive and the service works exactly like they say it does. I’m very happy with my rental and I’ll definitely use them again. Online lens rental for such a low price has saved me hundreds of dollars over traditional rentals. And renting lenses before making a purchasing decision has probably saved me a lot more.